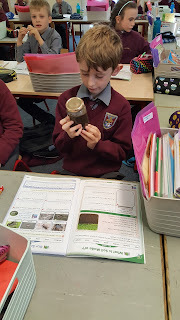 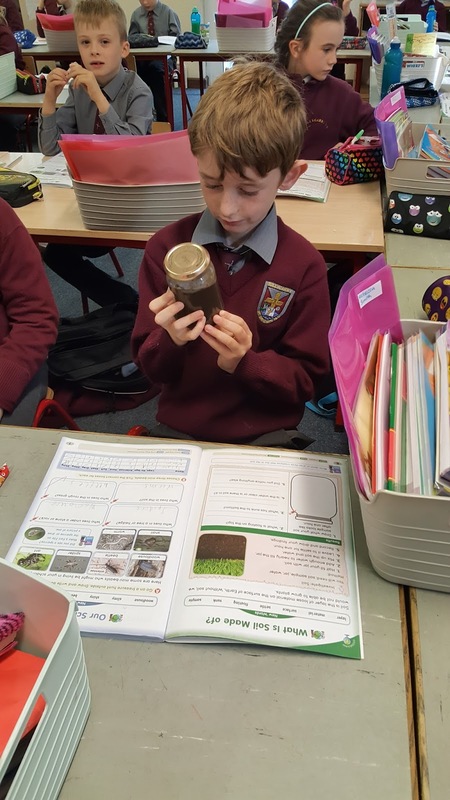 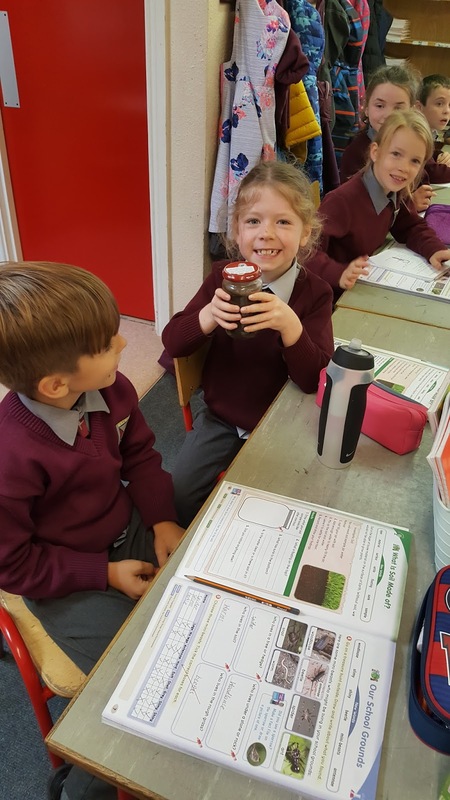 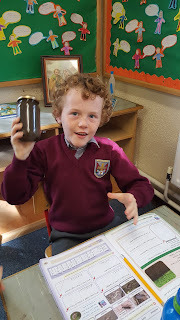 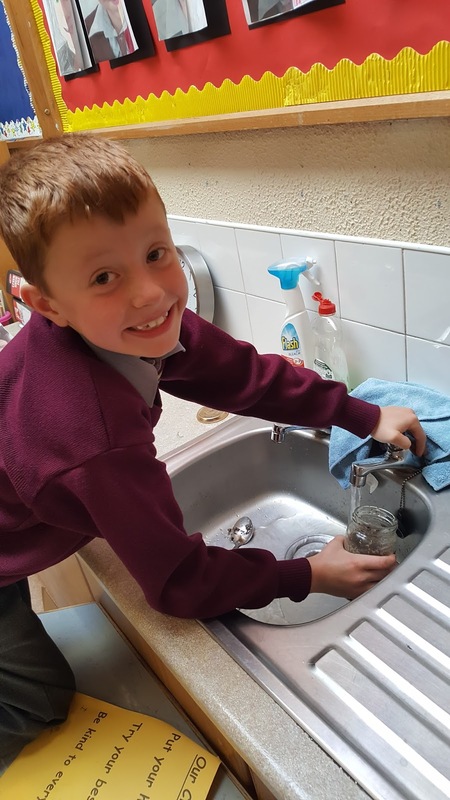 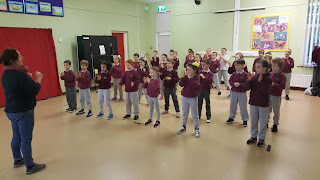 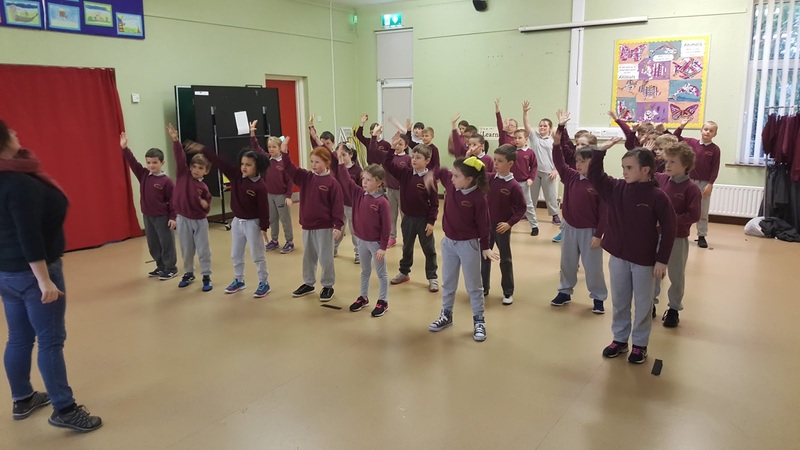 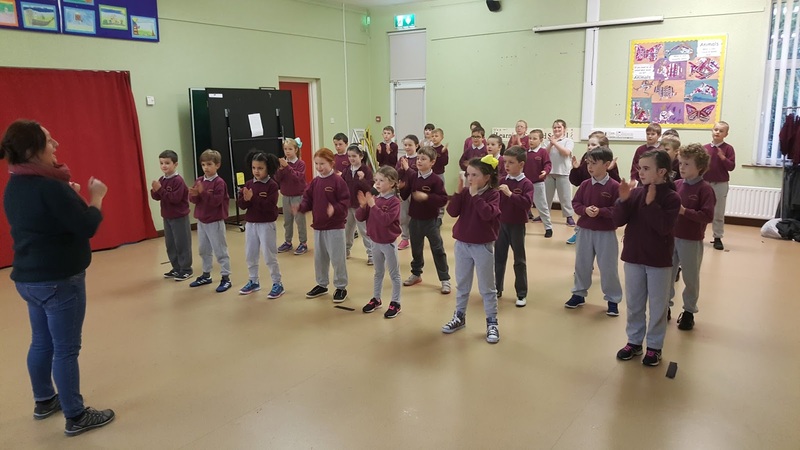 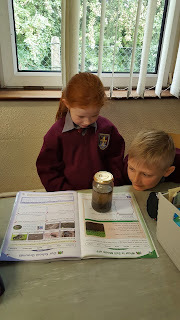 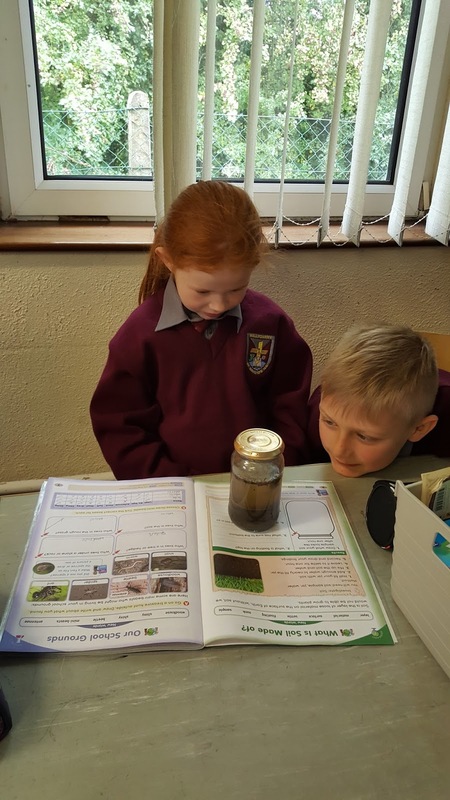 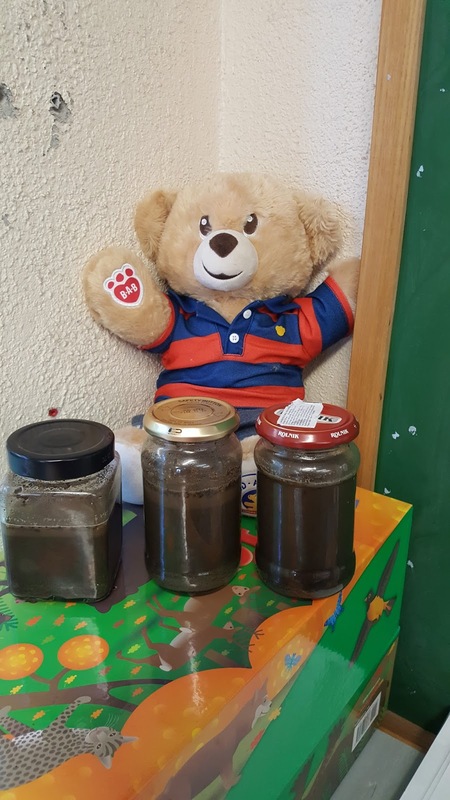 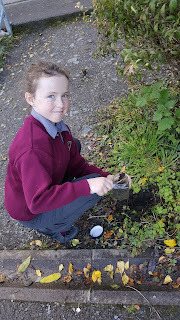 Second class did an experiment to find out what soil is made up of. 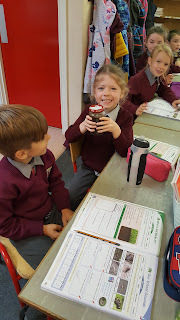 We put some soil into a jar and added water. Then we let it settle for 2 hours. As you can see stones and sand settled at the bottom and the clay settled on top of that. 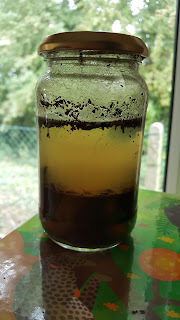 Leaves, twigs and grass floated on top of the water.